Learn the industry-required NATEF standards in this high-demand field for repairing and refinishing various types of vehicles, and for straightening vehicle frames. 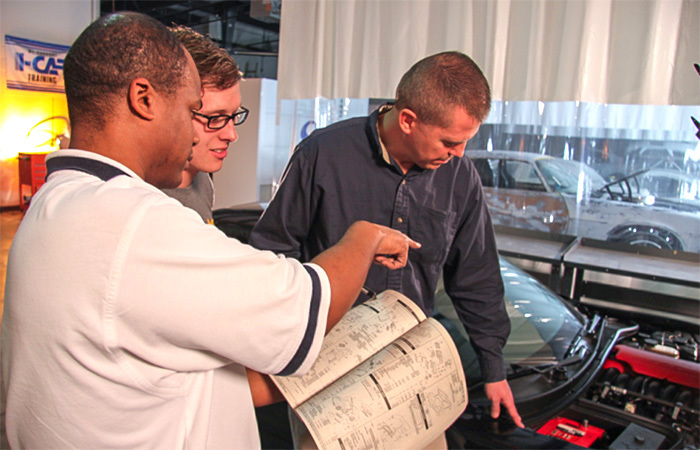 Nationally recognized I-CAR training certificates are available upon graduation. What can I do with my Automotive Collision Repair major? Find jobs in the Automotive Collision Repair field.